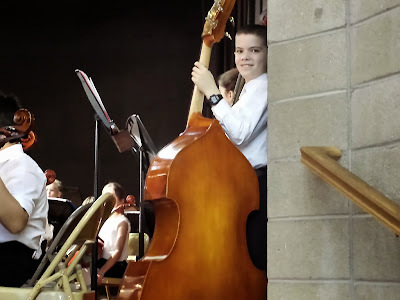 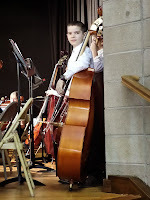 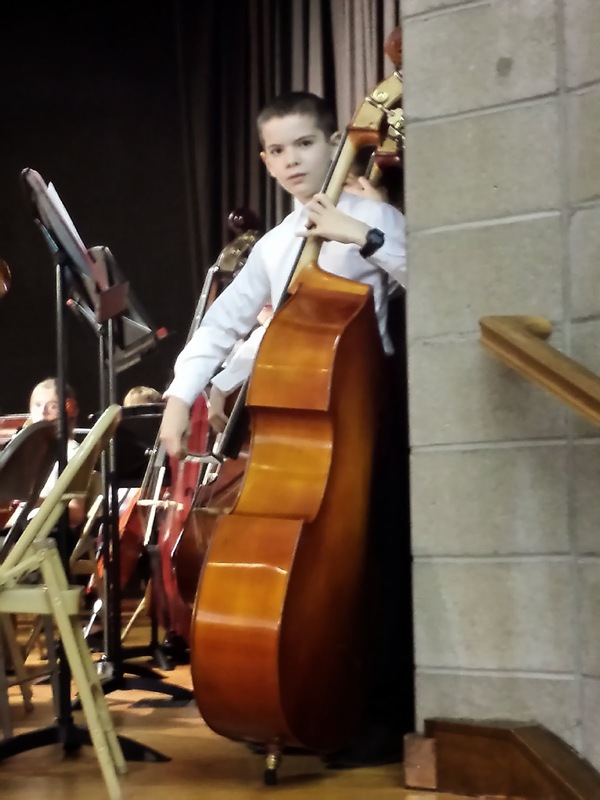 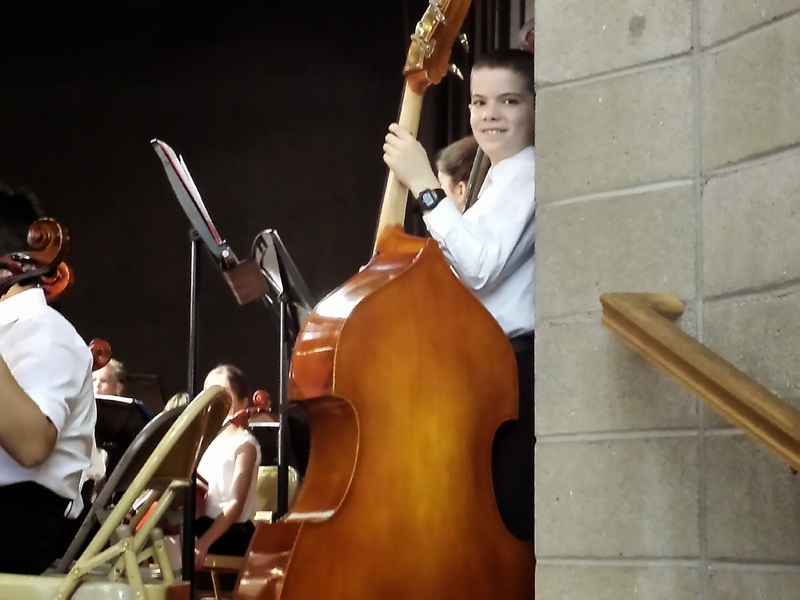 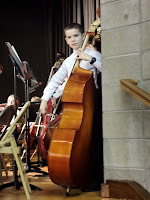 I played bass in the orchestra for our holiday concert at school. 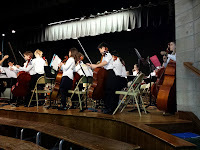 We preformed 3 songs: Dreidel, Ukrainian Bell Carol, and Salamander Samba. 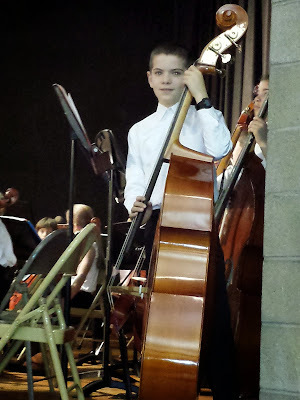 I am a little upset that I got an easy part even though I was a fifth grader.